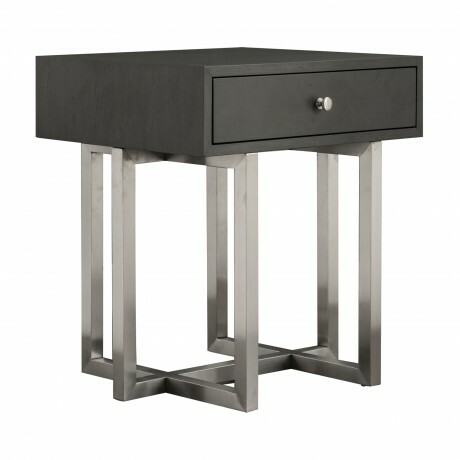 The Armen Living Knight contemporary lamp table is certain to be the perfect addition to any modern household. Featuring a chic brushed stainless steel finish cross leg design, the Knight presents a unique aesthetic experience that is as eye catching as it is durable. 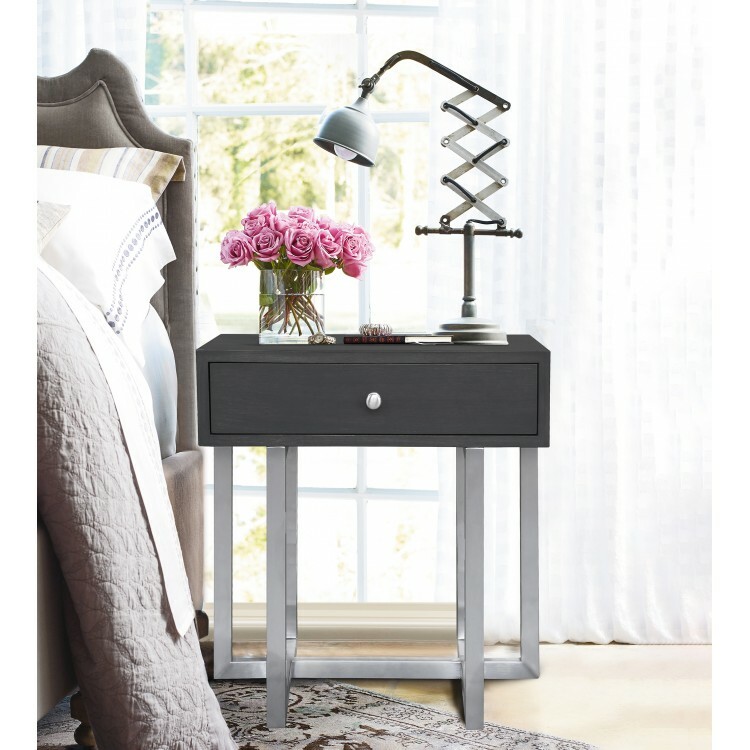 The Knight's top includes a handy drawer, perfect for storing books or magazines. The drawer's knob is made of the same metal as the Knight's legs, providing aesthetic cohesion. The added floor protectors on the bottom of the Knight's legs assure that the lamp table will not slip on tiled floors or scratch wooden ones. The Knight lamp table is available in grey.